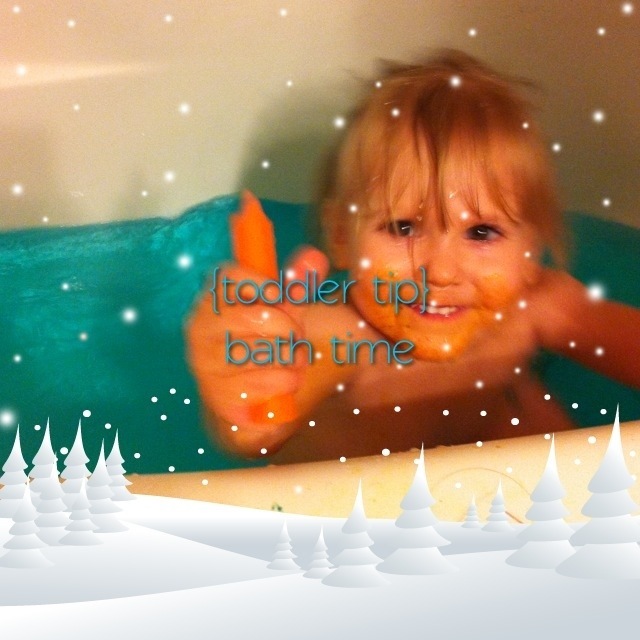 For most kids, bath time is a magical time to get wet and make a mess without getting in trouble. For some parents, it’s a dreadful time because they have one of those rare kids who hate the bath. This tip may not work for everyone but I thought I would share since it’s a huge hit in our house! like the frame? get it? it’s Christmas! We keep some regular liquid food colouring in the bathroom. Come bath time we ask her which colour she would like her bath to be. This takes “no” out of the question, she can only answer something positive. We also keep things like bath crayons around because it keeps her sitting and focusing on colouring instead of splashing or trying to get out of having her hair washed. They sell little bath bombs in the store that will change the bath water colour, however those get pricey if you’re using them every bath! The food colouring won’t stain tub or skin if you only use a bit and it doesn’t take much to change the water! Our Bug happens to like going in the bath but I’ve heard this has helped with several people who have those stubborn little ones. For us the real problem is washing her hair so if anyone out there has a tip for that speak up!